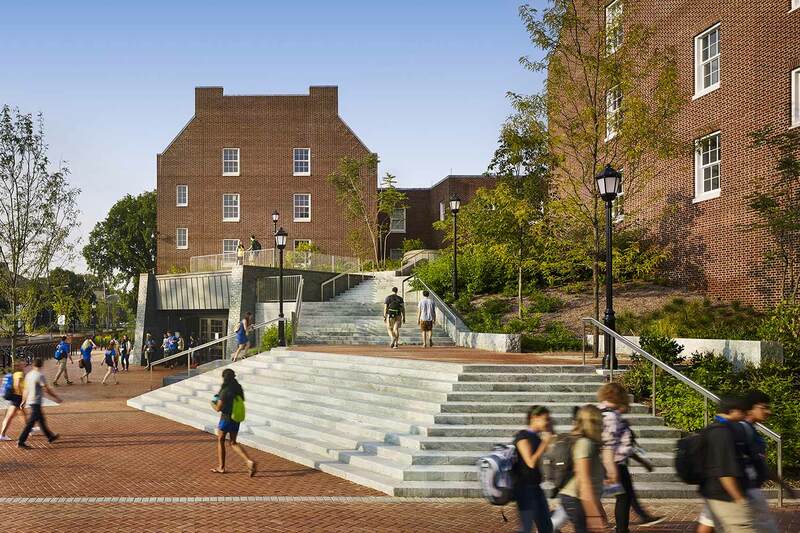 The University of Delaware carries a legacy of distinguished scholarship, research, teaching, and service for the benefit of society. 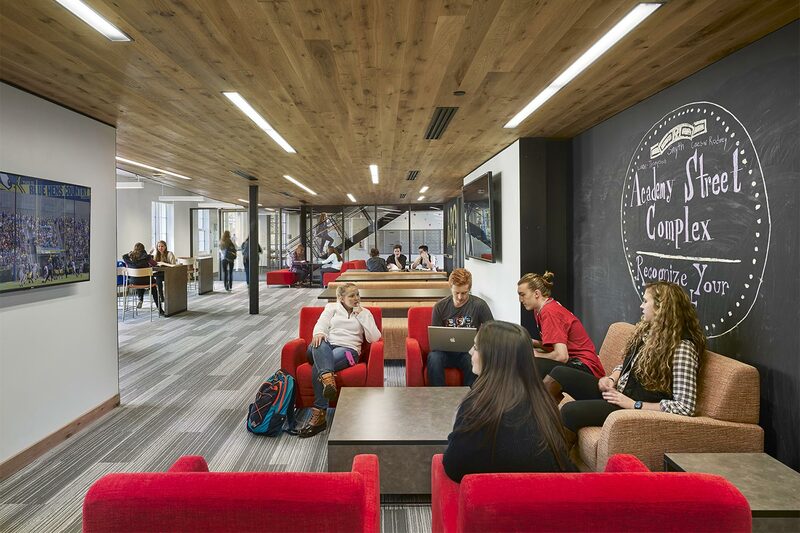 As one of the oldest universities in the nation, the historical context of the campus holds equal weight to a commitment to fostered connections between students. 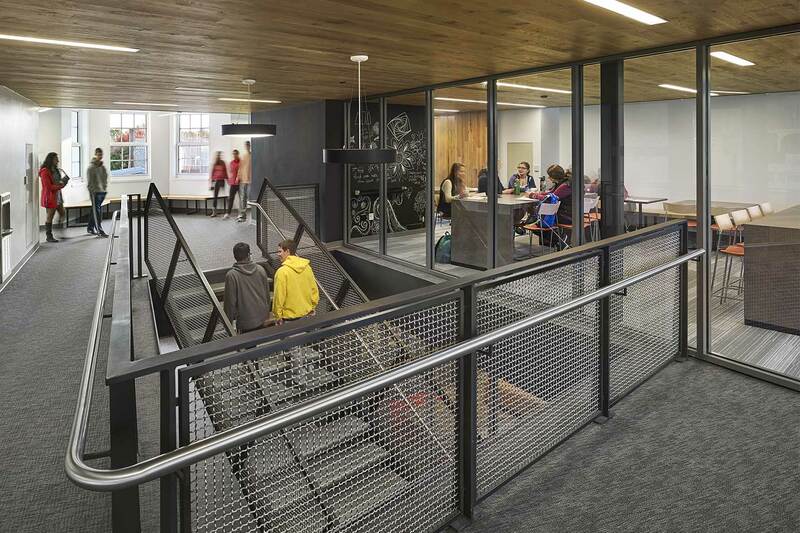 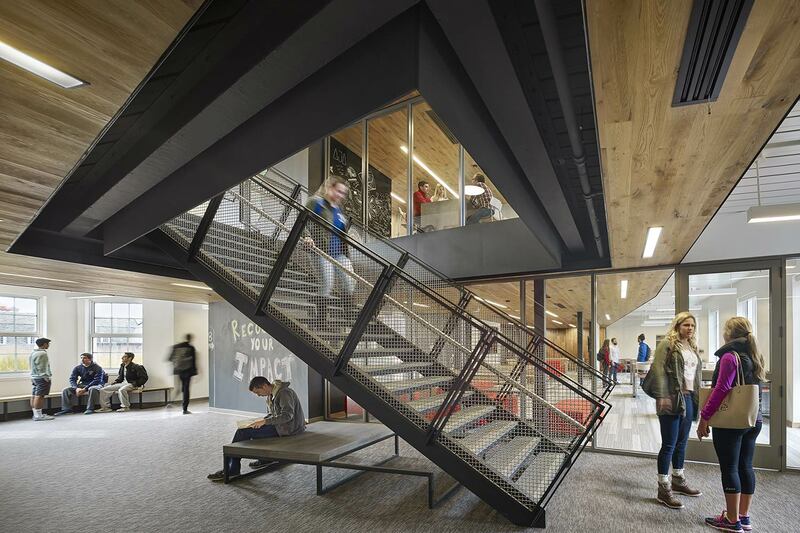 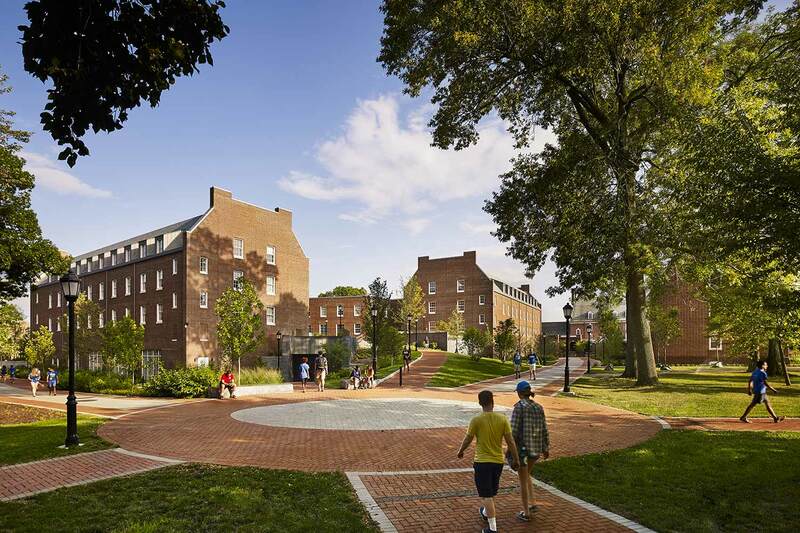 With the belief that a connected student is an involved student, the new 155,000 SF Caesar Rodney Hall is configured in communities of 36-39 students each and provides room for a 303 residents total. 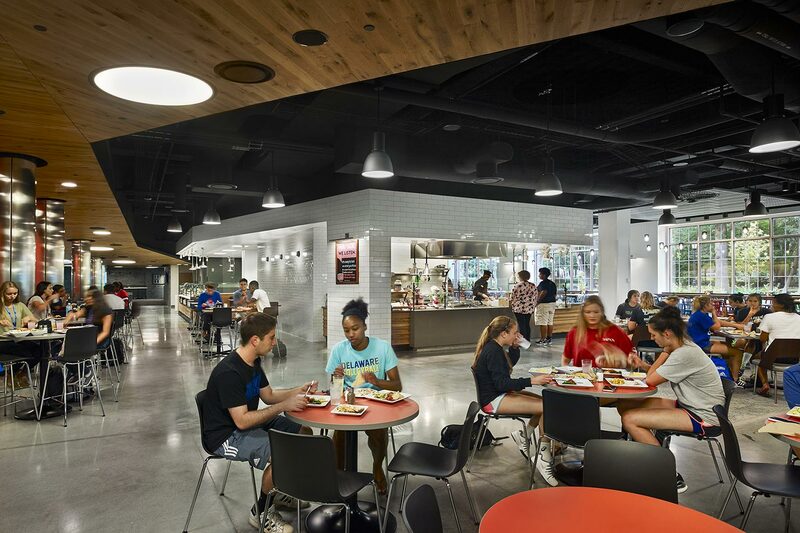 Student lounge areas and bathrooms are located within a perimeter of student rooms, an arrangement that naturally encourages greater social interaction between students in each community. 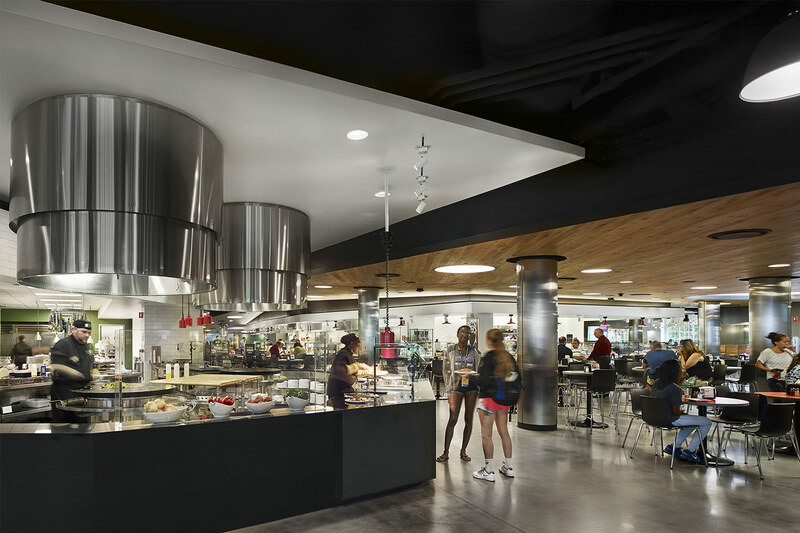 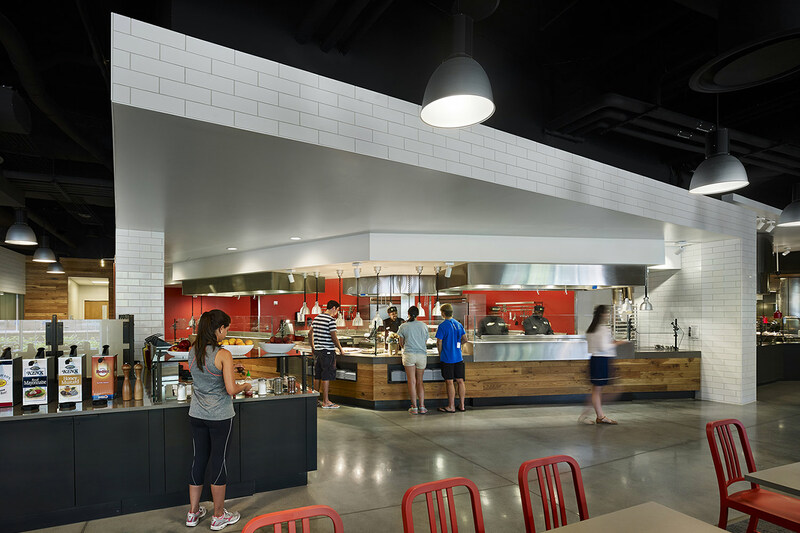 The residence hall is attached to a new dining hall where over 6,000 fresh meals are prepared daily around a marketplace-style format, maximizing fresh preparation using exhibition-style, small batch production. 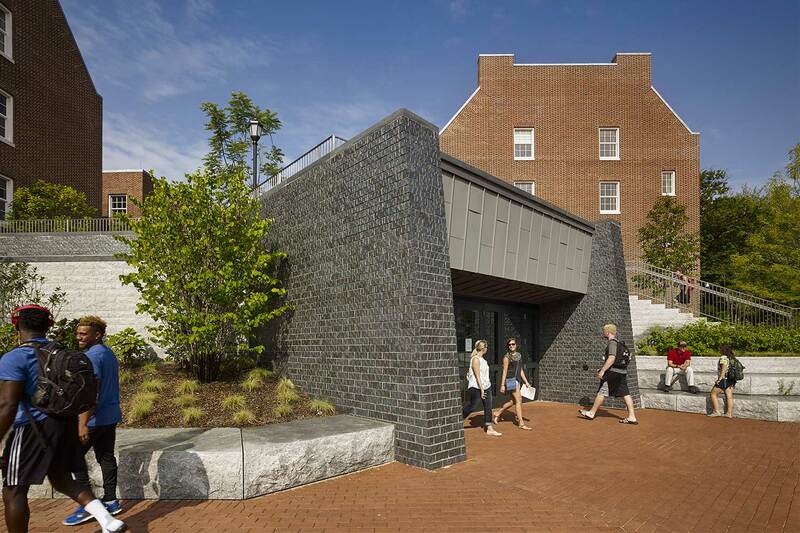 This LEED Silver structure is located at the heart of Delaware’s main campus, overlooking the Green.